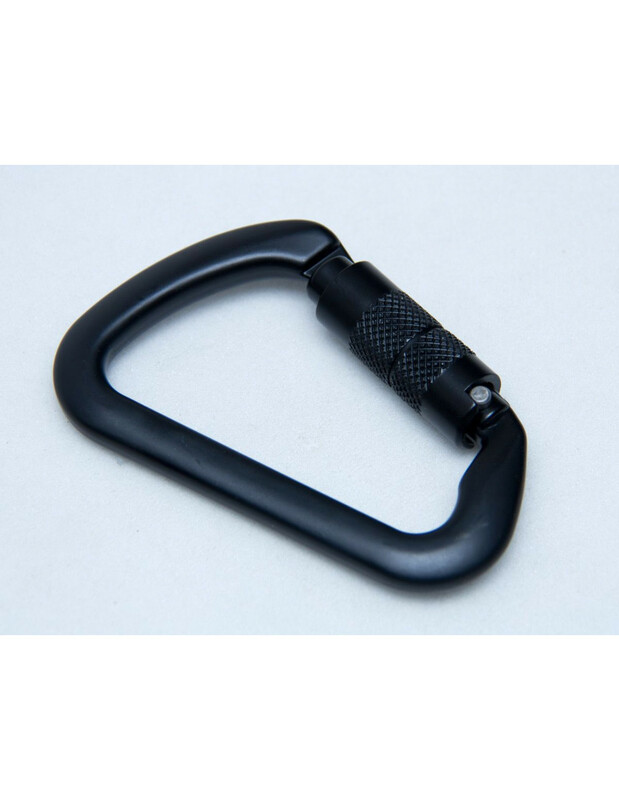 Cold forged aluminum Modified D-shape auto-locking carabiner. Perfect for belaying and a variety of tactical and climbing uses. Snag Free key lock nose for faster clipping and un-clipping. Spring loaded double locking gate prevents any accidental gate opening, is easy to use with one hand and locks as soon as released. Approx 4.4" x 2.9" in overall size. Meets ANSI Z 359.1, UIAA standards.